Travel in style with this Limited Edition Fall/Winter 2016 Cosmetic Bag. Balmain has introduced light greys and pastel shades to the fashion design palette for the Fall Winter 2016 collection which reflects a celebration of the natural beauty and strength of every woman. The soft hues and mix of pastels were the inspiration for this season’s limited edition Cosmetic Bag with signature Balmain tassel as seen on the runway! 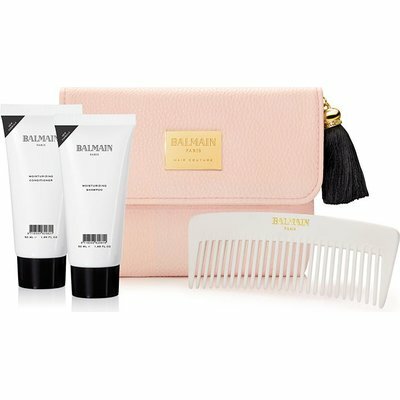 The limited edition Cosmetic Bag contains the Balmain Moisturizing Shampoo and Moisturizing Conditioner in travel size and the Styling Comb. Moisturizing Shampoo 50ml - Enriched with pure organic argan oil for natural and coloured hair. Nourishes, revitalizes and gives natural shine and elasticity. Moisturizing Conditioner 50ml - Highly nourishing balm enriched with pure organic argan oil. 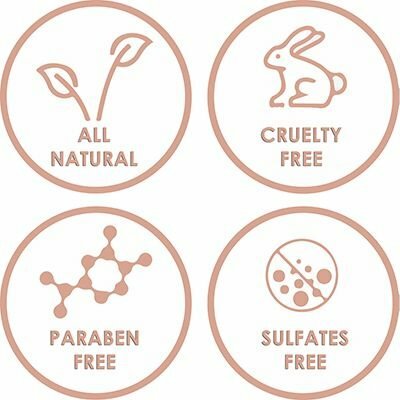 For natural and coloured hair. Protects, detangles and revitalizes. Gives shine and manageability. Care Comb - Gently run the Comb through ends of the hair to ensure that each strand gets a good dose of the Moisturizing Conditioner.